Are you looking for a great workout to help get in shape or add to your current fitness mix? Reduce stress while meeting awesome, likeminded people? Begin (or continue) your child’s or your own martial arts journey of a lifetime? Learn self-defense and gain confidence? Take on a new sport(s) or improve the skills you already have? If you answered “Yes!” then you should check out Roufusport. Milwaukee, Wisconsin’s Roufusport Mixed Martial Arts (MMA) Academy is considered by many to be one of the world’s premier schools for true beginners to serious competitors alike looking to learn Kickboxing and Boxing, Carlson Gracie Brazilian Jiu-Jitsu, Muay Thai, Wrestling, Self-Defense and of course, MMA. Best of all, no student is ever required to fight or spar. The Roufus name is established and well known through generations of dominance in many styles of Martial Arts, with emphasis on Muay Thai, Kickboxing and Boxing. 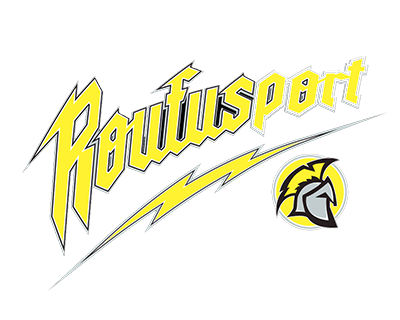 Roufusport Academy is proud to represent the Roufus legacy and commitment to excellence by providing our students and competitors with the absolute best instructors and coaches available anywhere in the world. Roufusport MMA Academy is run by long-time, dedicated and experienced partners Duke Roufus, Scott Joffe and former UFC Lightweight Champion Anthony “Showtime” Pettis. Duke Roufus, a 4-Time Kickboxing World Champion now considered one of the world’s top Striking coaches and MMA trainers, is head coach of the Roufusport fight team based in Milwaukee, Wisconsin, USA. He is one of the most recognizable striking coaches in North America, and is considered to be one of the top trainers of Muay Thai outside of Thailand.
. . . and gain access to hundreds of hours of online instruction! Our core values are built upon hard work and respect. We create a healthy and safe environment, and mentor our clients to take personal responsibility for their results. We pledge to provide you with a fitness environment that will be supportive, passionate, safe and full of integrity while promoting excellence and fitness in our community. As soon as I walked in I was hooked. I was greeted with so many friendly faces. Everyone was really nice and welcoming and so forthcoming with information! Ever since we've (son Landin and I) joined here, everything has gotten better... grades, behavior, discipline, eating, freidns, people that we hang out with. It's not just a gym, it has turned our life... our lifestyle! I've lost 32 pounds in 14 months and I'm hopefully going to lose more! I spend all day behind a desk, behind a computer. It is grueling; it's a lot of stress. Coming here is my stress relief! Not only does it give me more confidence in myself, it keeps me in great shape! It's a family at the academy! Honestly, I don't know what I'd do without Roufusport. This place and the coaches are top notch. Everybody here feels like my family! My physical appearance is a by-product of my lifestyle that's changed in order to train harder. I never thought I'd even like Jiu-Jitsu... but it's my favorite thing to do here! You never know until you try and I highly suggest it! I've met so many new friends! This place has really given me a ton of discipline and reminds me to always pay attention to detail. I'm here everyday and I'm sure you will be too if you join up now! It has been the most amazing experience that I've ever had! I cannot recommend Roufusport more highly! Before I was having trouble losing weight. I lost weight. I got fit! What's more is a I started taking these classes with my daughter. The Roufusport lifestyle has changed me a lot... It gave me confidence. The lifestyle itself has made me goal conscious everyday. The coaches, staff and members have made me realize I could reach my potential! Roufusport Kid's MMA (Mixed Martial Arts) program starts children as young as 4 on their martial arts journey with instruction in the exciting and powerful art of Carlson Gracie Brazilian Jiu-Jitsu, Pankration, Grappling and Wrestling overseen by champion and world renowned instructor Daniel Wanderley. Classes are taught with your child's physical and mental wellbeing given the utmost attention. Based on Muay Thai - the 700 year old National sport of Thailand - Roufusport's Kickboxing program is known around the world as one of the premier Striking systems available. 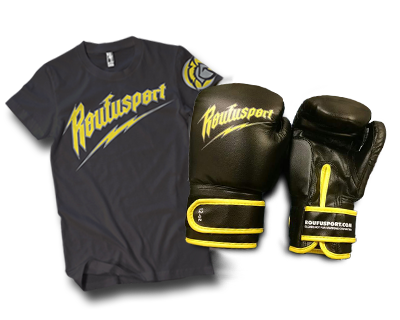 Designed for the true Beginner student, use of proper technique is always emphasized in Roufusport's high-energy Kickboxing and Boxing classes. 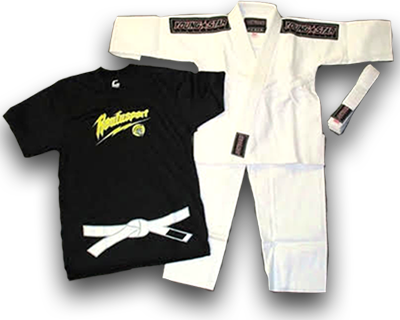 Our Roufusport certified Carlson Gracie Black Belt Brazilian Jiu-Jitsu instructors have traveled the world gaining knowledge and experience to properly teach you the basic fundamentals, intermediate and advanced techniques on the mat. There are a wealth of benefits that come from a healthy self-confidence, from helping you manage fears to maintaining a positive mental attitude. Train with us at Roufusport and you’ll discover there is no better way to build your confidence than with the Martial Arts. Knowledge of Self-Defense produces advantages far beyond looking cool and hoisting trophies. With these skills you’ll learn to defend yourself in a variety of situations, whether life-threatening or helping your child deal with bullying. Not only that, but you’ll gain the confidence to use – or not use – these skills to keep you and your family safe. With self-discipline comes all kinds of beneficial improvements to your life including advanced focus, new found respect, better health & fitness along with having an easier time at work or school. The bedrock of Roufusport’s Martial Arts program are founded on teaching discipline and self-control to its students. Our team is dedicated to your success. Whether that means pushing you to your limits, being a friend in a time of need or spending extra time to show you a technique you’re struggling with, our Roufusport community is here to make you feel comfortable and safe while having fun getting it done!